Ha, the entire drink is hot due to the addition of hot water, not just the butter. 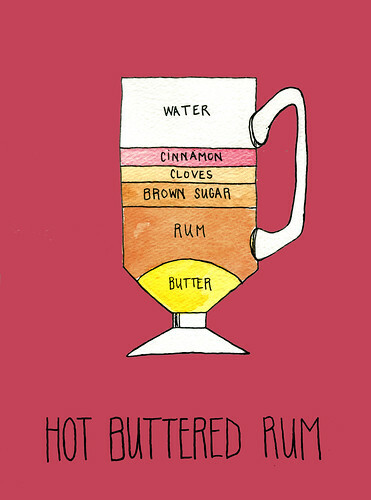 Hot buttered rum is *delicious. * Definitely try it when it gets cold wherever you are. I have a very old family recipe for the batter I would be willing to share with you. It makes a ton so I take jars to parties, very popular. My e-mail is megrbrown@gmail.com - just let me know!